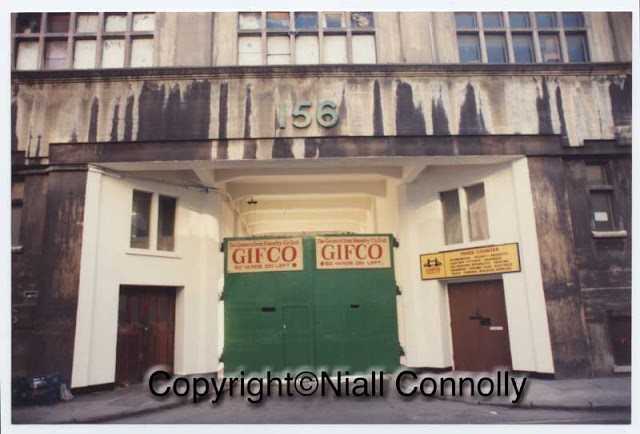 The entrance to what was the GIFCO premises, now the entrance to Royal Oak Yard. Also known as 'The Concrete Castle', the GIFCO building was reputedly one of Britain's earliest concrete structures. 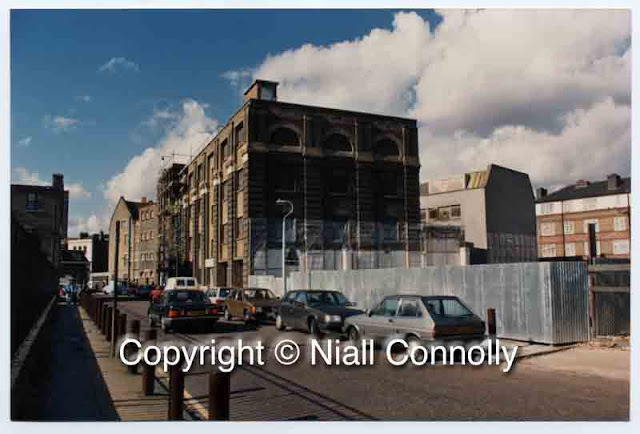 In the foreground is 5/7 Tanner St, Zincography House, and on its right, the site of what was Hatchers Yard. Hatchers were a haulage firm and the rather crude bollards on the pavement opposite were installed to discourage Hatchers drivers from parking on the pavement. The site was soon to become Swann Court. One of the saddest losses on Bermondsey St was the destruction (by fire) of 39/45 Bermondsey St. That building stood immediately next to The Stage, 47 Bermondsey St, and shared the same white glazed brick facade. 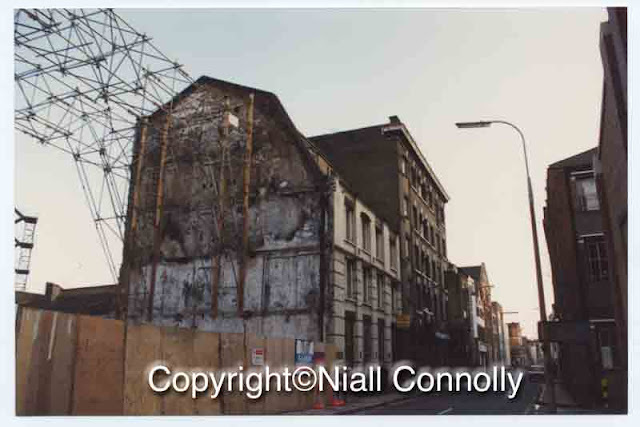 Unfortunately, soon after a planning application was made for the redevelopment of the site (c1986), the building caught fire, was declared a dangerous structure and pulled down. Unless stated otherwise, all images presented here are the copyright of Niall Connolly. Reuse in any form without the prior consent of the author is expressly forbidden.